Do you know that it is possible to reduce fuel bills using an Hydrogen kit in your vehicle? In a world where fuel is an indispensable source of energy to power our vehicles and cope with soaring oil prices, is there an alternative technological solution to reduce fuel consumption? The company Hydrogen Plus has addressed the issue and has designed Hydrogen kits ready-to-use once installed that allow the optimization of fuel combustion. Real alternative and environmentally friendly technology, Hydrogen kits are the essential technical tool for fuel-conscious consumers lower the cost of their travel. Hydrogen kits are an innovative technology that meets the needs of French who wish to reduce their fuel bills or fuel. 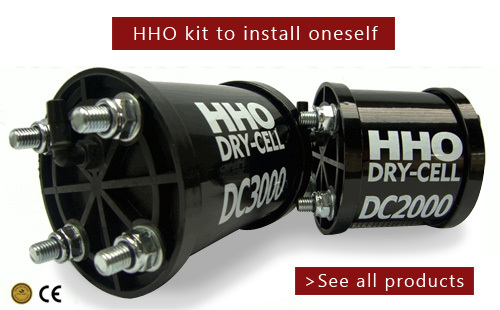 Not requiring technical knowledge in mechanics and cost, an Hydrogen kit can be installed by oneself in his vehicle. Once functional, the kit Hydrogen product, via a chemical reaction of the electrolysis, hydrogen is going to fuel mix and match. The mixture is obtained which is towards the combustion chamber of the engine wherein the combustion hydrogen generates almost 100% of the fuel. Hydrogen Hydrogen kits, alternative energy and environmentally friendly, perfectly meets the requirement of actual companies reduce air pollution and thereby contributes to the development of a sustainable environment. The consumer who adopt this technology Hydrogen will save the environment and pollute less. How an Hydrogen kit allows us to reduce fuel consumption? The engine works with pistons that move back and forth at a significant rate. When a piston moves back, empty space is created to draw air and fuel into the interior of the engine. As the piston advances, the air / fuel mixture is compressed and found the candle lights and causes combustion of the mixture. Optimal in an engine, the start of the combustion must take place only when the compression of the piston is at its maximum. But in many engines, combustion is triggered too late and the fuel is not totally consumed. This lack of combustion can be adjusted with the addition of hydrogen to the fuel. With an increase in octane and compression of the air / fuel mixture, combustion occurs at most. The kit Hydrogen hydrogen results in optimizing fuel combustion thereby reducing CO2 emissions and carbon deposits related to incomplete fuel combustion.